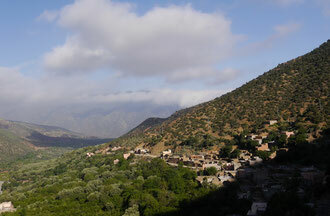 The driver will pick you up at your accommodation in Marrakech after breakfast at 8am and takes you to the village of Tassa Ouirgane (1300m) in the Ouirgane-Valley, where we begin our trek to Tizi Oussem (1800m). 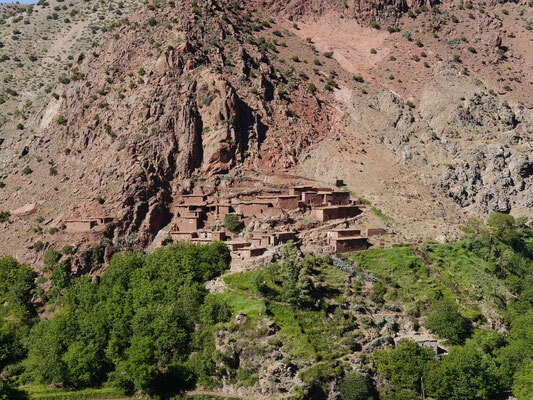 Our route takes us through the juniper and redwood forests of the Toubkal National Park and along the beautiful red-soiled Azzaden-Valley. As we pass out from the forests, there are stunning views of the surrounding mountains and we encouter small isolated hamlets and villages. Night on half-board in a refuge. 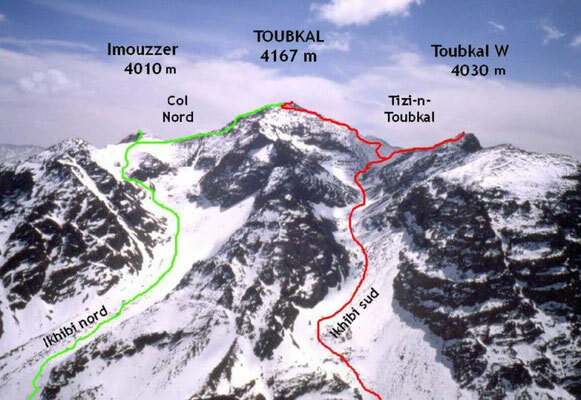 After breakfast, we now set out eastwards on a moderately difficult hike winding up mule tracks to the Tizi Aguelzim (3104m) with our picnic taken en route, then a further 3 hours south-east to the Toubkal refuge at 3207m. This is our final stop for today, where we will have dinner and spend the night. The next day you have to get up very early to have breakfast and start the ascent climb. 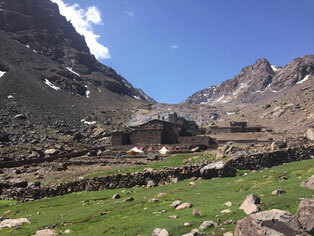 We take step by step until we get to the point above the hut where you have a short break. 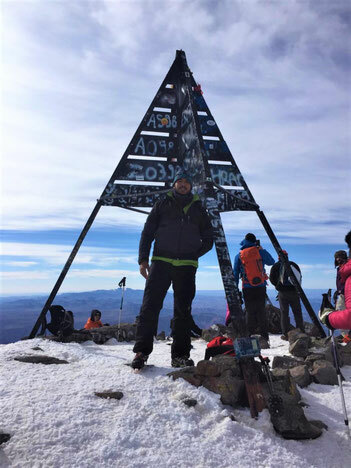 After 3 or 4 hours of walking up you will reach the summit and have a breathtaking view to all the High Atlas. A break on the summit will allow you to take pictures and enjoy the view before we return to the refuge. A lunch will be ready for you there. After lunch we start our descent to Imlil. The driver will already be waiting for you to get you back to Marrakech. This hike requires you to be physically fit, but your efforts will be rewarded!